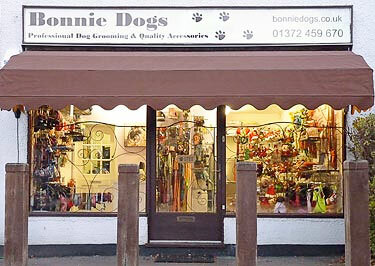 Our door is open to all breeds from the Chihuahua to the Great Dane along with all the Crossbreeds and Doodles in between. 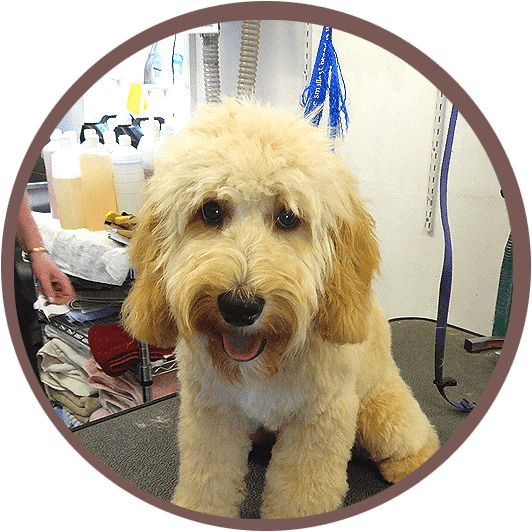 We cater for all and pride ourselves on creating an individual relationship with each of your dogs to make their grooming experience as enjoyable as possible. 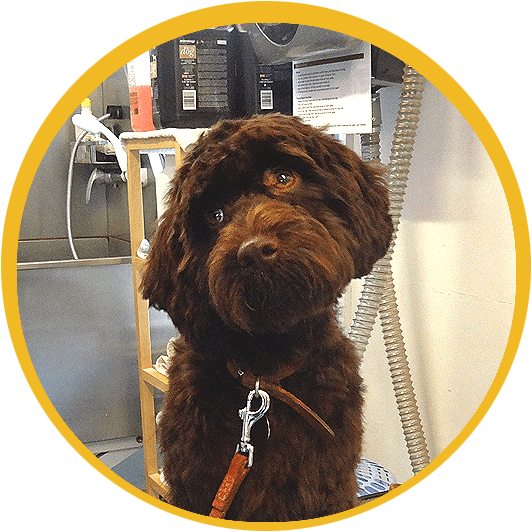 We only use high quality shampoos, up to date equipment so your dog is kept safe and comfortable at all times. We have no cage dryers or cages, we do not offer nail painting, blueberry facials, bubble baths, hair clouring or body art we only have your dogs interests at heart. 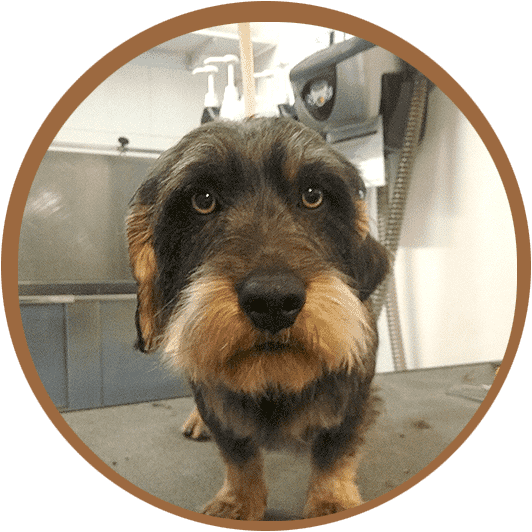 We only offer good old fashioned grooming with no hidden extras, carried out by qualified and experienced staff that truly love what they do. We also offer a Wash & Go service for those extra muddy dog walking days! Perfect if you’ve been walking around the beautiful Surrey Hills near Polesden Lacey, Box Hill or Norbury Park on a rainy day. 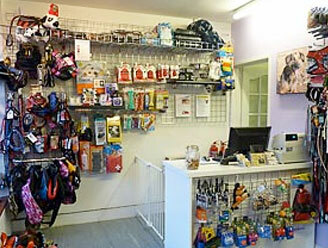 We sell dog clothing, accessories and grooming products so please visit us today. Book your dog in today. 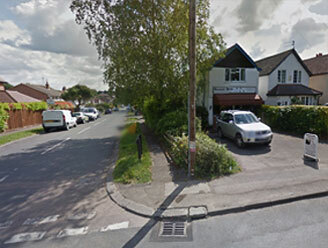 We are located not far from Great Bookham High Street. When heading South from the A246 at Bookham on the way up to Polesden Lacey we are on the corner of Dawney Road and Dorking Road which is on the left hand side just past the Chrystie Recreational Ground. There is ample parking near the shop, either on Dorking Road or Dawney Road. Please be considerate of the local residents by not blocking drive ways. Please always clean up after your dog – we have poo bags available upon request. These times will vary during Christmas, Easter and on Bank Holiday Weekends.